Hasankeyf Matters: Happy World Water Day! Today marks the 22nd UN World Water Day. This year the theme is Water and Food Security, providing a great opportunity to look at this area of Turkey’s water policy. Of course, agriculture (including irrigation) forms just one part of water policy, but holistic understanding of such a large and complex policy area (and system) requires careful analysis of each and every component. While the dam that threatens Hasankeyf will be used to feed a hydroelectric power (HEP) plant, the greater Ilısu project includes an irrigation dam at Cizre, which will also serve to control the dam’s tail waters. Turkey’s irrigation and HEP programmes have some striking commonalities, as illustrated by last year’s World Bank (WB) report on reform of Turkey’s irrigation sector. Management of irrigation has been devolved from the state to water user associations (WUAs): This process was found to have been hurried and lacking an adequate legal infrastructure. WUAs in poorer regions are unable to manage larger infrastructure, and many farmers struggle to afford operation & maintenance (O&M) costs. The State Waterworks Authority (DSİ) has made little progress in integrated water resources management, while it too cannot adequately fund O&M. 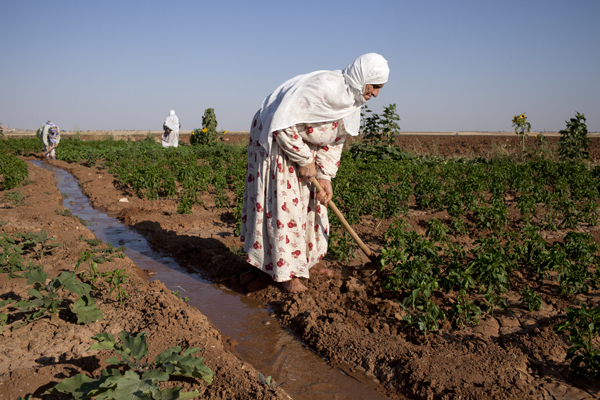 Institutions working on irrigation are not fully integrated. Similarly, Hasankeyf residents have complained of insufficient consultation on their relocation (and associated costs). Meanwhile a lack of coordination and failure to work at international standards echoes the government’s run-before-it-can walk approach to Ilısu or the burial of Allianoi. So, this World Water Day, as Hasankeyf Matters we put our support behind moves toward an integrated, sustainable water policy that truly values Turkey’s human, cultural, historical, natural AND economic assets. We hope you do too.